Unforgettable Ride with mid-tempo melodic rocker “Slow Release”. Hart has an once or twice in a generation yowl ideally suited for this style and his straightforward singing reveals lung strength and vocal control among the best that we’ve heard from a hard rock band in some time. This is fun music, without a doubt, and raids the treasure trove of tropes and familiar turns that’s defined this popular form, but Love Stallion manage to bring their own personality to bear on “Slow Release” and guitarist Rob McLemore adds some outstanding lead playing while never falling prey to self-indulgent fretwork. They break out the cowbell for the introduction to “Ignire the Night” and produce one of the album’s most accessible, radio-ready tunes. The backing vocals are a big reason for this song’s widespread potential, but it’s the hook laden songwriting that’s certain to catch the attention of many. “Big Rock Radio” is my personal favorite on the album. This has the album’s best riff, by far, while never sacrificing the band’s penchant for strong hooks and seamlessly vocal harmonies. 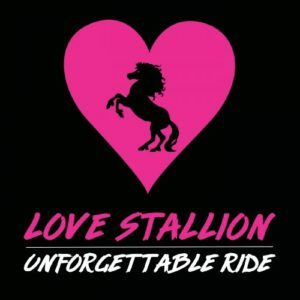 It’s a great thing that Love Stallion so adeptly balances their music between their obvious love for rocking out and their skills at finessing a response from listeners. This is a physically engaging tune written with underrated intelligence and a sense of fun that will undoubtedly make it an impressive concert staple for the band. They show they are far from an one trick pony with the track “Lazy Summer Day” and mix their rock chops with a healthy dose of melodic touches. It’s another ideal number for the band to showcase their vocal prowess and you will be hard pressed to find another band working in this style whose singers complement one another so well. “Hide Me Away” is another peak on a great album building on the other facets of their talent we heard on “Lazy Summer Day”. The song begins life as a hard-charging rock, largely shorn of the melodic virtues so often found on this release, but turns a corner mid-way through and embraces a much more melodic conclusion that’s, as well, long on mood and atmosphere. “Valentine” finds Rob McLemore’s guitar playing taking a small step back from its prominent role and, instead, he weaves a number of imaginative flourishes around the direct attack of the band’s rhythm section. Hart answers the call, as well, with a deeply felt vocal. They rock with a tremendous amount of fun on the second to last track “High Time” and the vocals, specifically, are theatrical and entertaining without ever making me want to roll my eyes. It’s another cut that’s sure to be a live favorite for the band. There’s little question that the band has the potential for big things, with some lucky breaks here and there, and Unforgettable Ride gives them a powerful release to tour behind for the foreseeable future.